On our Thailand traveling tour 2006 we comes from Ayuthaya to Kanchanaburi by bus. The most tourists come here to see the famous Bridge over the Kwai River. The Thai locals call this river Mae Nam Khwae Yai. 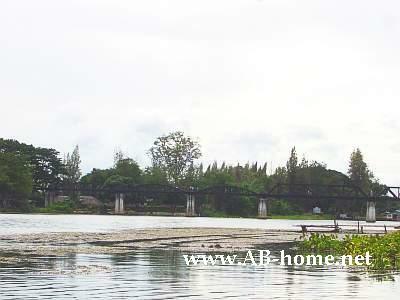 On the river Kwai are many nice Guest Houses and Hotels direct on the river. We was staying at the Pong Phen Guest House on the riverside. 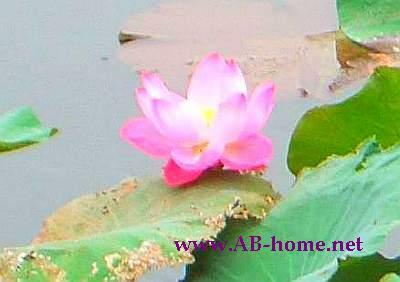 From our balcony we had a good view to the lotus blooms on the Kwai River. During the WW2 the Japanese build a railway connection from Burma to Thailand. Many war prisoners lost the life. The Thailand – Burma Railway Center Museum documentation the building of the railway and the bridge. Many backpacker and traveler visit the “Tiger Temple” her in the Kanchanaburi province. At this Buddhist Temple the monks take care Tigers and life with them together. 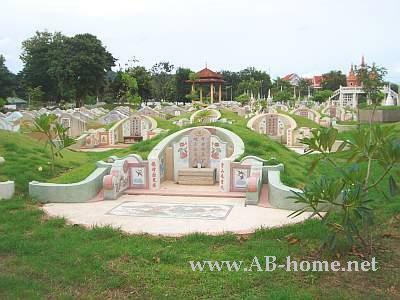 Marius and I visited the Allied War Cemetery, the Chung Kai Allied War Cemetery and the Chinese Cemetery. On the Allied War Cemetery you can see the graves of the falled soldiers from the WW2. The Chinese Sanitary looks a bit more colorful and friendlier. The landscapes at this city in Southeast Asia are dominated by hills covert with tight evergreen jungle. From here we traveled with our backpacks to Thailands Capital Bangkok by train. All in all the city of the river Kwai is a nice destination for backpackers, tourists and travelers in Thailand. Like nearly every city in the Kingdom have this town a own flair. On the main road are many restaurants, Guest Houses and Souvenir Shops. For more information about this beautiful province read your Lonely Planet or ask at any Booking office in this area.